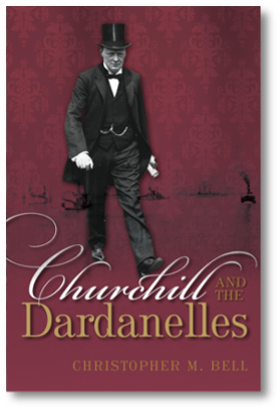 When I started work on Churchill and Sea Power in 1999, my PhD fresh in hand, I assumed that it would also be an academic book for the academic market. And I was okay with that. This was a project that was close to my heart, and my goal was to ensure that it was ‘done right’. I intended to unearth every relevant document in the archives and produce a massive, exhaustive, and definitive book. This would be a tome of epic proportions – hundreds of detailed pages, intelligible to only the most specialised of academic historians! But over the years I began to rethink this approach. I have to admit that I was frustrated at times that my earlier books seemed to be languishing in complete obscurity. They were reviewed in the usual scholarly journals, but clearly only a handful of specialists were ever going to read them. Even more frustrating, I occasionally ran across scholarly books and articles that, in my opinion, should have referenced my books but did not. Specialists, in other words, were not necessarily reading the book either. It gradually began to occur to me that I could write the book I wanted and still make it accessible to a wide audience. Academic books didn’t have to be for specialists only – and there was nothing wrong with wanting people to read what I had spent so many years working on. The book was clearly never going to be a best-seller, but that wasn’t the point - I just thought it would be nice to see a copy of one of my books sitting on the shelf of my local bookstore one day. Or anyone’s local bookstore. If the book turned out to be a commercial flop, then so be it – as long as it had a fighting chance to find an audience. The idea that this book might have genuine commercial appeal was planted by another of my former colleagues at the Naval War College. When I told him what I was working on – or, more accurately, when he heard “Churchill” - he urged me to find an agent. This had never occurred to me. I had always dealt with editors directly, which is the norm with scholarly publishing. But an agent would undoubtedly open a whole new set of doors. A few years later, now ensconced at Dalhousie University in Halifax, Nova Scotia, and with two thirds of a completed manuscript under my belt, the same colleague told me that he had recently used an agent to get a nice deal for his latest book. There didn't seem to be anything to lose, so I figured I’d give it a shot. He put me in touch with his contact in New York, who immediately agreed to take me on. Over the next couple weeks I wrote up a prospectus, polished up a couple of chapters that I thought were ready to publish, and sent the whole package to my new agent. I was immediately impressed by his range of contacts. He knew (and was evidently chummy with) senior editors at all the top New York-based publishing houses, and had no trouble getting them to look over my proposal. I began to speculate (very quietly, to myself) as to what sort of massive advance a publisher like Random House or Doubleday might offer. And then the responses began to trickle in. Most said flattering things about the proposal and the scholarship behind it, but the general consensus was that the book sounded “too academic”. And, in hindsight, I realise that the prospectus I had written was still geared towards academics. Old habits die hard. I was used to explaining why scholars and specialists would find my work original and important, but I hadn’t really tried to make the case that it would also be a good book that people might enjoy. A dozen or so rejections later, my agent dumped me! And rightly so – I have no complaints. He suggested that I should try an academic publisher, for which his services would not be necessary. We parted ways amicably, and the door was still open if my next project had a wider appeal. In some ways getting dumped was a relief. There was no more pressure to produce a blockbuster bestseller. I was back in my comfort zone – and there was no shame, I reminded myself, in writing an unapologetically academic book. I tinkered a bit with the old prospectus, but decided not to revamp it radically. I still wanted to convey that this was a book that, despite its many scholarly virtues, could also appeal to members of the general book-buying public. It seemed to make sense, given the nature of the topic, to peddle the book in the UK. Within a few months, I’d made it through the standard academic review process with two interested publishers. One of them – a prestigious university press – promptly put an offer on the table. And even though they were clearly thinking in terms of a standard academic book, they were at least talking about eventually doing a paperback edition. That was good enough for me. After all the rejection from the big boys in New York, I was ready to jump at the offer. In fact, I considered myself pretty fortunate. In my line of work, it never hurts to publish with a good university press. But then I got an offer from the other publisher, an equally prestigious university press. They also talked about doing a paperback edition, but as more details began to come in, it gradually dawned on me that they were thinking of something quite different from their competitor -- a book, with photographs (! ), priced in the $35-range for the hardcover edition. At that price, I thought, their margins would presumably be fairly narrow. And I quickly worked out that narrow margins must mean they expected high sales! If they believed the book could be sold to more than just university libraries and academics, I was not going to argue with them. Publishing with Oxford University Press was the easiest decision I ever made.